This week on the Solari Report I talk with Bill Binney and Kirk Wiebe about their new company that they call Pretty Good Knowledge. 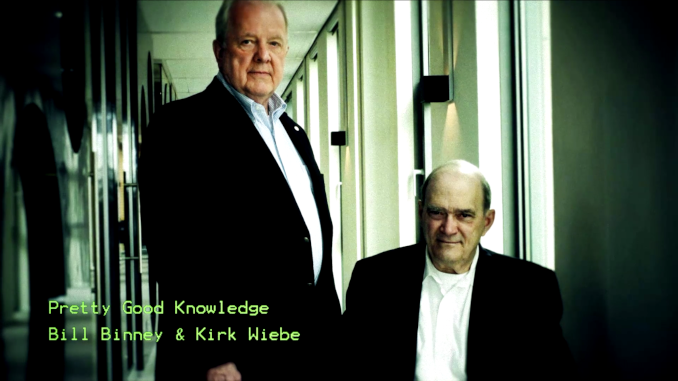 Bill and Kirk describe Pretty Good Knowledge as a young company with a long history. They and their team bring together decades of experience in discovering knowledge from data and combining it with the latest data science techniques and technologies. Every enterprise – big or small – struggles to make sense of an overwhelming data. We want our data to help us do a better job and we want our data to be secure. Bill and Kirk can help. It’s big news when one of the top teams in data science in the world becomes accessible to private organizations – consequently, this Solari Report will be open to the public. Please feel free to share widely. In Let’s Go to the Movies I recommend the documentary A Good American which tells the story of Bill and Kirk’s accomplishments at the National Security Agency (NSA). Their small team created a highly efficient way to achieve real-time processing of all global communications and to fast-filter date for relevant intelligence analysts. You will get an excellent sense of the talent now available to us all. It’s the last week of the month so there is no Money & Markets. E-mail or post your questions for Ask Catherine at the next Money & Markets commentary here.